So is Apple above law? 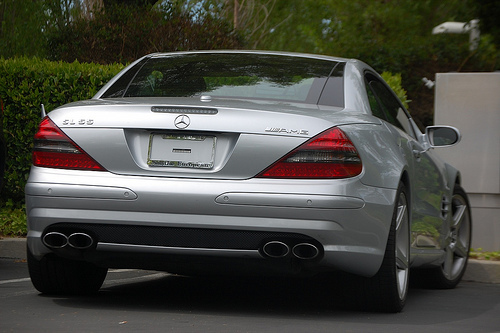 If you travel to Cupertino often you must have not missed Steve Jobs’s Mercedes-Benz SL55 AMG zoom by. Did you notice how “brand-newish” the car looked.Did you also notice that the car is without its license plates since 2007 when Steve bought it. So why hasn’t the police or the DMV stopped Steve for such violation? Gizmodo had already reported before of how Steve Jobs likes to park his car where ever he likes, whether or not it is marked “disabled”. Hacks have started to wonder why it is that Jobs is immune to prosecution. They have been asking if there was some sort of government agreement with the authorities. When state DMV spokeswoman Jan Mendoza was asked about this she said “no one is above law be it me, you, Lindsay Lohan or Governor Schwarzenegger”. 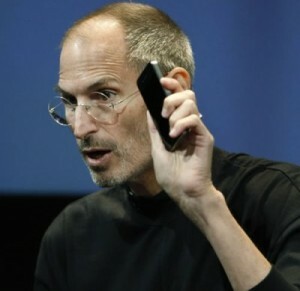 Jobs gets around the law in California because it is legal for one to drive without a license plate for 90 days. And most cops only pull over a car without license plate only if they sense something, however why would they when Steve’s Mercedes looks like new. Despite all this recklessness, Jobs has recieved only two citations since 2006 which were both for speeding. Some reason that Steve Jobs wants to avoid stalkers and Apple fans from bothering him and hence no license plates. However the plate less Mercedes is now quite famous in Cupertino. However he will have to try harder than that to keep some fans away. Enjoy the pic of Steve Jobs’s Mercedes-Benz SL55 AMG. Next Duke Nukem Forever coming soon!